don’t have to tell me twice. Actually you don’t have to tell me once. Seriously, who would drink toilet water? Okay… besides Murphy (my dog). I listen to can be poisonous. it in, and let it flow through my veins. I pray my children will drink living water. next a gulp, then consume a gallon, finally it is their beverage of choice. The enemy may have won the battle but he hasn’t won the war. 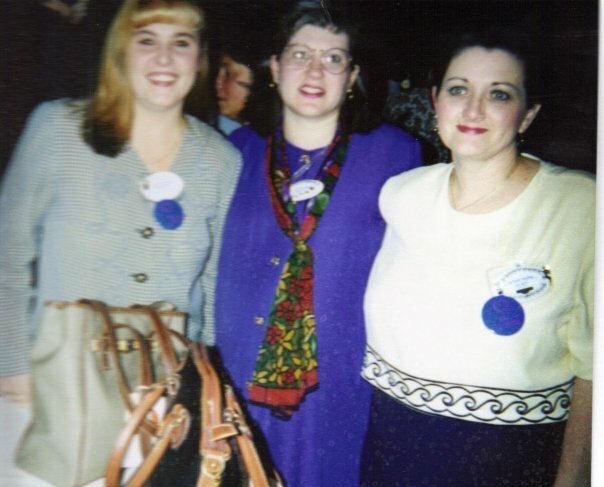 Today’s guest blog is from a very dear friend and former colleague of mine, Mary Lange. Mary has taught me how to run a financially tight ship! She can squeeze blood out of a turnip! (not literally, if so I never got to see it!) Every time I entered her center, equipment flowed and she was NEVER over budget! Thanks, Mary! My name is Mary Lange. I am a wife, mom of 3, stepmom of 2. Currently, I attend ASU and substitute teach at the local school district. I was lucky and had the opportunity to stay at home for the last three years with my youngest child. She went to preschool this fall at the old age of three. My oldest daughter, who is now 19, went to day care at 6 weeks of age. My son, now 16 went to an in home daycare until he turned one, then he came to the center that I worked at. So, I have been there, done that too. I worked in a licensed childcare facility for 14 years beginning as a toddler teacher and working my way up to academy director and I must say that I enjoyed my time as a teacher more than I did as an administrator. I have cared for and taught children of all ages, infants to high school. The greatest achievement as a teacher is when you see that light bulb go off above the child’s head. I believe that teaching is a calling from God and all people are not meant teachers. When speaking of a teacher, yes they can be male or female, but I normally use the feminine term especially when speaking about teachers in childcare facilities. One of first things that most people look at when they walk into a teacher’s classroom is her appearance. The teacher should be dressed appropriately. Appropriate is a word that can be interpreted in different ways. This is my idea of appropriate dress for a childcare facility. If the facility mandates uniforms for their employees, does the teacher adhere to the policy? Is her uniform clean? Does it look like she slept in her clothes or didn’t take a shower that day? I feel that personal hygiene is very important in a childcare facility. If she doesn’t take pride in or care of herself, how can you expect her to take care of your child? If uniforms are not worn, appropriate means that they are dressed ready for inside and outside active play and bending and stretching without showing any extra skin. By extra skin, I mean cleavage and the upper thigh area that can and will expose the booty cheeks when bending over. Is she dressed sloppy? Are her clothes excessively baggy or so tight that it appears that she has been poured into them? Clothes should fit well and be easy to move around in. Shoes should be clean and low heeled. The only high heels that should ever been worn in a preschool is by the preschooler playing dress up or the Director. The preferred shoe of choice is a tennis shoe or a comfortable low heeled dress shoe. Yes, some ladies do like to wear skirts or dresses. This is okay too, as long as they are able to sit on the floor and play with the children. Hair should be neat and clean. Jewelry should be kept to a minimum. Remember to look at more than what she is wearing, appearance goes beyond the clothes. What does her face say when you walk in the room or when you are peeking in the window before entering; does she look happy, tried, frustrated, or is there a blank look on her face? What does her classroom look like; does she take pride in her room? What are your thoughts? What do you expect? Any stories you’d like to share? 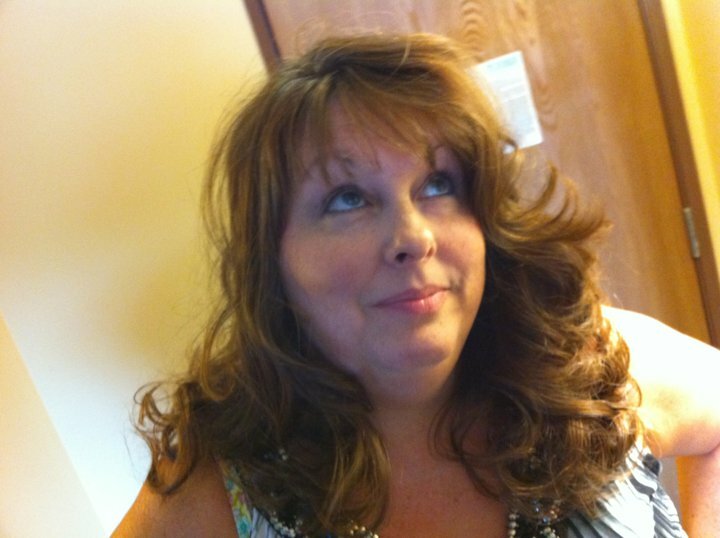 Today’s GUEST blog is from Lisa M. Boyd, my mentor and friend! My name is Lisa Boyd. I am married and have 2 grown children and 3 grandchildren. I worked in the childcare industry for 27 years at all levels. I loved being a teacher. Everyday was different and never boring. I usually learned more from them than they did from me. The number one lesson we can learn from children in that of forgiveness. If someone wrongs them, they get mad and they get over it. If it could only be so with adults. In the latter years I was a Director, which was a whole new ballgame of challenges. Not only did I have to deal with children, but now their parents and caregivers. There are things that drove me crazy at times but I wouldn’t change many things that happened over the years. The largest lesson I learned in all my years was that to really be successful in life we should do as Christ instructed, “you must become as a little child. It is wise to allow an extra 30 minutes at drop off time on your child’s first day at preschool. Upon arriving at the center or home, you and your child should be greeted by the Director or another designated member of management. They should walk you through the drop off and pickup procedures for your childs age group. There should be happy noises in the morning,usually breakfast or snack may be occurring. You should then be escorted to where your child will be at that time of the day. Take into consideration that preschoolers are often grouped together in early morning and late afternoons. Infants and toddlers should never be grouped with older children. Upon arriving at your childs classroom, you and your child should be greeted by the caregiver. At this time you will be shown where to place your childs belongings. (their name tag should already be in place)The caregiver should ask for any written instructions (generally for Infants and young toddlers) or any verbal instructions for the day. A good caregiver will jot down the verbal to pass on to the next shift. Your child should be led to the group and introduced to the other children and led into the activity occuring at the time. It is always best to tell your child goodbye, never sneak away or your child may feel abandoned. You should expect a call from the Director sometime in the morning to let you know how things are going and the activities that occurred that morning. The main caregiver should also give you a call after lunch. Be sure to call yourself anytime, it is just as hard on parents as it is on children when leaving each other for the first time. At the end of the day, you should receive some type of progress report from your child’s caregiver. Infants , toddlers and 2 yrs olds should receive some type of care provided sheet to let you know about diapering and feeding times. The main caregiver should write you a personal note about your child’s first day. The Director should be available to answer any questions or concerns you may have about your child’s first day. We also must keep in mind that some times there is an adjustment period for some children. They may cry or have a tantrum depending on their age, but these go away in time. In all my years as a child care worker/Director , I never saw a child who did not adapt. By now, you’ve made the phone calls. You’ve asked questions and you’ve narrowed down your choices. It’s time to go to those scheduled appointments! Before you go, decide if you are going to bring your child with you. There are pros and cons to both. 1. Pro-If a director schedules a tour, she will (if she’s good) inform the teacher and have something prepared. A cool name tag, pencil, a treat bag to take home. The teacher will prepare the children (age appropriate) and they will make your child/children feel welcome. 2. Con- Your child may not engage immediately and therefore cling to you. If this happens, it’s going to be hard to really focus on what’s being said and remember all the questions you wanted to ask. It might be a good idea to not take the child to the first tour and then bring them on a day when you decide to “pop” in. I encourage you to definitely do this. Whatever you decide, be on time! Here’s a basic list of things to look for. You may have some that aren’t on the list. Great! 2. Is anyone in the office when you arrive? Can you just waltz in without anyone knowing or even acknowledging you? 4. Are you greeted warmly? Does the director remember she’s scheduled you? She should. Do other teachers acknowledge you and say hello as you walk through the facility on your way to the child’s room? Do they greet your child? 5. Are children happily engaged? Are there more crying than playing? What do their faces look like? Snot crusted? Food on their face? Shoes untied? (Get out!) Now, let me just say, you will see some runny noses and a shoe untied and if you go right after lunch some food, but it shouldn’t be a majority of the kids. 6. How does the teacher greet you? Is she friendly? Does she address the child? Does she engage him/her into the chilren’s activities allowing you time with the director/management? She should! 1. Ask to see a lesson plan; do they follow it; do you get a weekly sheet and does it include what your child had for lunch; if appropriate do they get a potty or diaper sheet; how often do they change the children? 3. Ask for a schedule and all policies. Do they close under severe weather and how does that effect the weekly price; Do you get free days? Vacation days? When is payment due? Is there a late pick up policy? (Please don’t be one of those!) Is there a late payment fee? (Yes.) Do they have cameras? 4. Ask to see the curriculum if the director doesn’t offer to show it to you, but she should. Ask about napping procedures. Ask for the menu and what is the rule about snacks being brought in. If your child has any type of special needs, now is the time to see if that facility can accomodate them. Allergies, illnesses, medications. Get a medication policy. Who administers medicine? Do you get a sign off sheet? If your child sleeps or not…tell them. Anything you think is important make sure and tell them! Your child may act shy and hang on your leg even with coaxing and encouragement from you and the teacher to engage in activities. It’s okay! It doesn’t mean they hate the place. It’s an adjustment for everyone. Give it time. When you walk out of there, make sure you have in your hands all of their policies and pricing info., a buisness card, a menu, and if they have weekly connection sheets–get one. And go with your gut. Your looking for a place where you feel at home, where your child will feel comfortable, a happy place with happy teachers and smiling kids (for the most part). Hope this helps! Directors/Teachers, if I missed anything feel free to add to it! Tomorrow a guest blog by Former Director Lisa Boyd!